Once in a while when visiting a zoo or farm we come across gorgeous peacocks that my kids always fawn over – especially when their tail feathers are proudly displayed! A few times we’ve even been lucky enough to spot them in the wild! 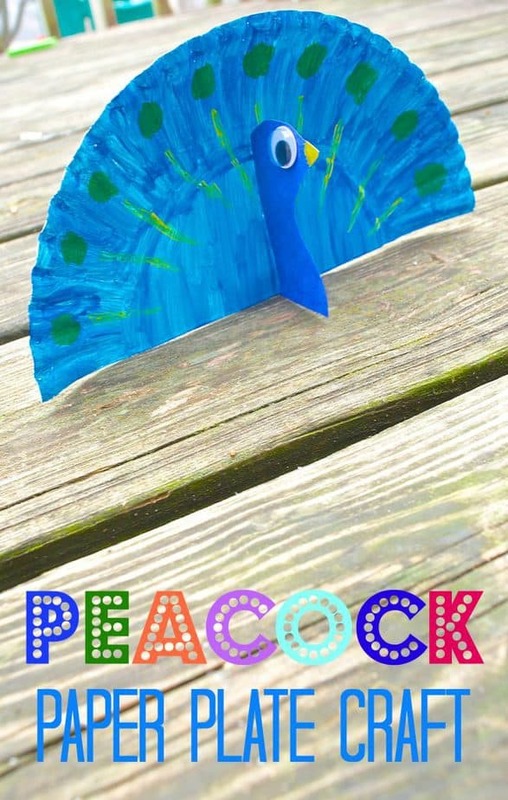 So this week we decided to read through a few children’s books with peacocks in them and make this creative peacock animal paper plate craft! 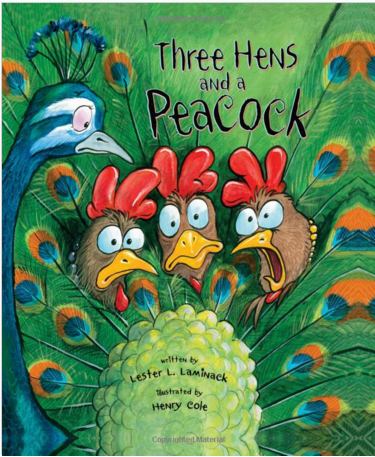 We chose to read the books A Peacock Among Pigeons, and also Three Hens and a Peacock. It’s really simple to make and can be adjusted depending on the age of the children creating it! Simply grab a white paper plate, cut it in half and paint or color it all blue. Then embellish the plate (aka peacock feathers) as desired! You can use paint like I did above, glitter, buttons , tissue paper, string and yarn, or even these real peacock feathers! 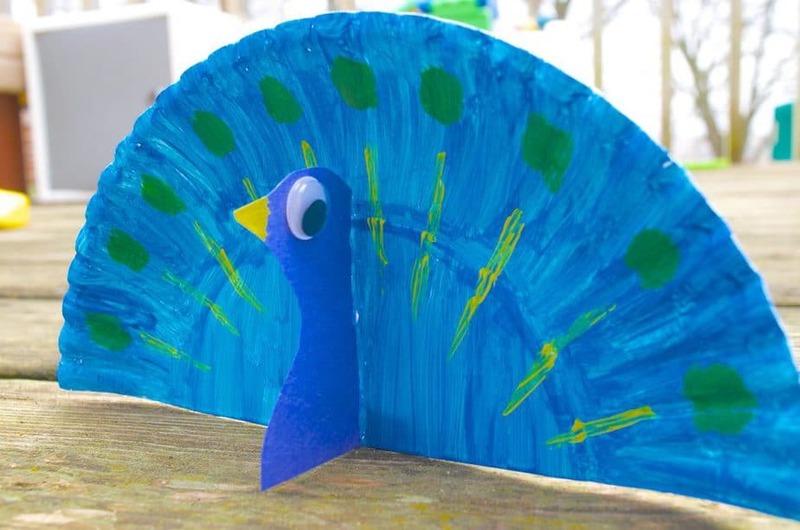 Once my paper plate (aka peacock feathers) had completely dried I cut out a blue peacock “body” and used a thin amount of hot glue to attach it onto the paper plate as shown above. Don’t forget the googly eyes ! If you’ve cut your paper plate straight you’ll be able to prop your beautiful peacock up on the table or bookshelf! 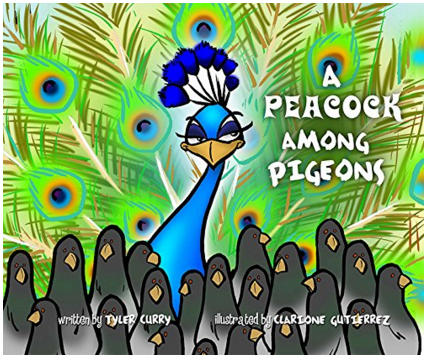 Just click below to order the 2 books we based our craft off of!